Palau de les Arts Reina Sofía in Valencia is a unique venue designed by Santiago Calatrava. The building is home to four different theatres: Sala Principal can host opera, ballet and other performing arts events. Auditori, equipped with cutting-edge sound, cinema and video systems, holds concerts and audio-visual performances. Aula Magistral, suitable for chamber music, is also used for recitals, conferences, lectures and children’s theatre. Teatre Martín i Soler, with its orchestra pit, is designed to accommodate chamber opera and Baroque pieces. 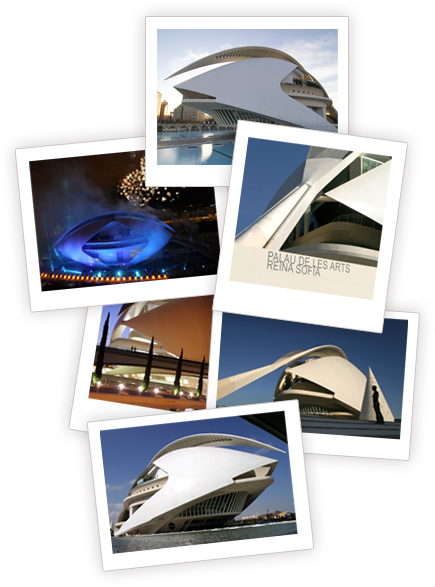 The artistic quality of the Palau de les Arts performances is as magnificent as its architecture. It is a meeting point for internationally acclaimed stars – such as Zubin Mehta, Lorin Maazel, Valery Gergiev, Daniel Barenboim or Plácido Domingo – as well as for the new generation of artists under the leadership of its Intendent and Artistic Director, Helga Schmidt. Orquestra de la Comunitat Valenciana is the orchestra-in-residence at the Palau de les Arts Reina Sofía. It plays in the orchestra pit during the opera season and performs a symphonic and chamber music repertoire both at home and on tour around the world, having earned international recognition. It is composed of musicians from all over the world, selected by its founding musical director, Lorin Maazel. Since the 2011-2012 season, its musical director is maestro Omer Meir Welber. Maestro Zubin Mehta is closely linked to the orchestra since its creation and has conducted numerous concerts and operas, including Die Walküre, Carmen and Tosca for VIVA EUROPA in 2009, 2010 and 2011. He is also president of the Festival del Mediterrani, which takes place in the months of May and June every year. Cor de la Generalitat Valenciana, the choir-in-residence at the Palau de les Arts, is directed by Francesc Perales and it is internationally recognised as one of the finest choirs at present.